Mobeewave say they have signed a global partnership agreement with Samsung that will allow Mobeewave to offer its patented in-person contactless payment acceptance solution on Samsung devices. 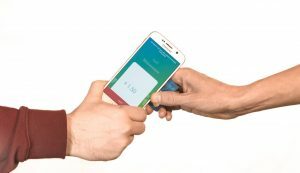 The solution enables people to accept payment from a contactless card or mobile wallet using only their phone – essentially turning a smartphone into a payment terminal. Under the terms of the agreement, which came into effect on January 1, Mobeewave’s solution will be available for commercial use on Samsung flagship devices in targeted markets around the world. The solution makes it possible to accept payment from a contactless card or mobile wallet without the need for external hardware. Designed with an emphasis on security, the patented technology encrypts personal user information and ensures no sensitive data is saved on the device. It will be available for commercial use on the Samsung Galaxy S7, S7 edge, S8, S8+ and Note8.